Energy is hard to distribute across the rural areas of India, let alone clean energy, and half the homes in Rajasthan have no electricity or unreliable grid power. Frontier Markets through its Solar Sahelis, not only provides women with skills, employment and wages, but provides solar home lighting and systems. This gives clean, reliable light and energy to, as of February 2019, over 3.5 million people, cutting down the use of kerosene and greenhouse gas emissions. 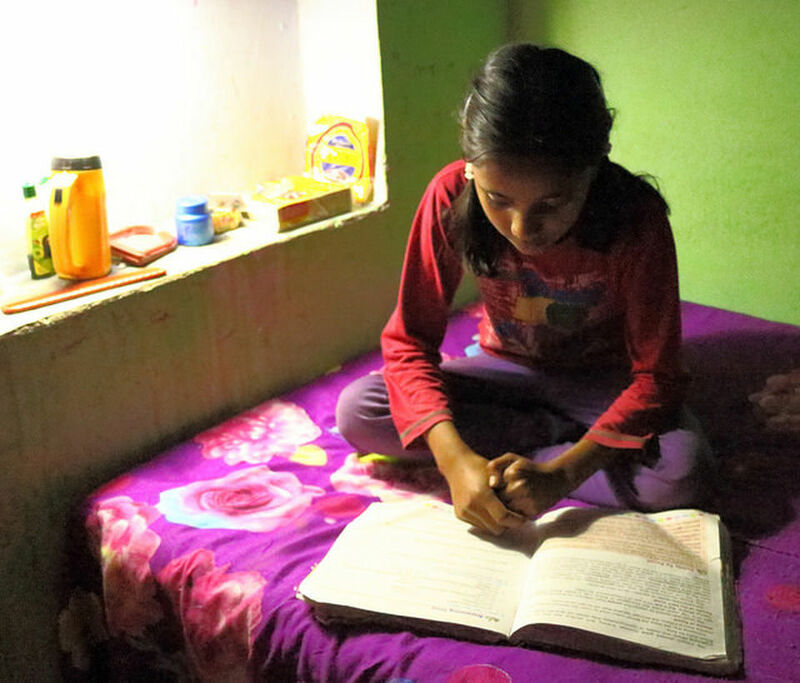 Solar Saheli's have provided over 3.5 million people with access to reliable light. I really liked the solar products from when I first saw them. Being a Saheli gives me the chance to earn more money. I’m trying to study for myself, so I can buy books and anything the household needs. In India, villages are dispersed and the terrain is rugged with patchy roads. Despite these challenges, Frontier Markets focuses on reaching the poorest and most remote areas. The business offers a unique distribution model to provide high quality solar lamps and other solar systems to hard-to-reach villages, using a network of trained women called Solar Sahelis to be the face of their marketing and after-sales service. By February 2019 over 650,000 total clean energy solutions have been sold by Frontier Markets. By February 2019 over 650,000 total clean energy solutions have been sold by Frontier Markets. They estimates that, for around 70% of sales, women make the purchasing decision or are the main users of the products. I got a bank account thanks to joining the Self-Help Group, but I didn’t have any money to put in it until I became a Saheli. About 2,000 women have trained as Solar Sahelis, and more than 250 are currently active in the role. Active Sahelis are given one month credit on stock and are paid a monthly stipend of US$8 for marketing and collecting customer data for Frontier Markets. They are also paid commission on sales, typically US$30 for selling ten products in a month, and for undertaking follow-up and minor repairs. Some are also paid for managing a group of Sahelis or for training new candidates. For many women this is their first significant income. For many women this is their first significant income, and very useful for buying clothes and household equipment, contributing to children’s education and saving for weddings. Sahelis take great pride in their role and the enhanced reputation it brings to both them and their families. They enjoy the opportunity to make their own choices on spending, and the freedom of not having to ask their husbands for money. Government and NGO partners have been successful in developing the community and social empowerment of rural women through Self-Help Groups. Working with Frontier Markets builds on this success by increasing women’s economic empowerment, and expands the impact that partners can make. Solar electricity can help with other programmes that partners run, as well as benefiting Self-Help group members directly. Self-Help Groups provide a route to many women who could benefit from solar products. 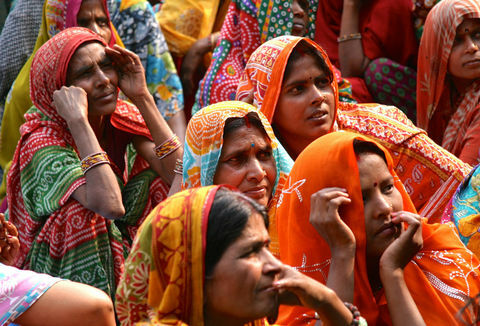 Self-Help Groups are informal associations of 10 to 20 women living in the same village. Groups are set up by government agencies and NGOs (like the Rajasthan Rural Livelihoods Development Department and PRADAN) to encourage mutual aid, provide support, and help women to access banks and public services and to set up enterprises. Through partnering with these agencies and NGOs, Frontier Markets gains the local knowledge and acceptance that is required to sell deep in the rural areas where need for energy access is greatest. Self-Help Groups provide a route to many women who could benefit from solar products, and also help identify women who show potential for becoming Solar Sahelis. Frontier Markets trains potential Sahelis in marketing, finance and record keeping. Existing high-performing Solar Sahelis are used to test the performance of a candidate before she is confirmed in the role. Sahelis market products within a distance of around 5km from their home. 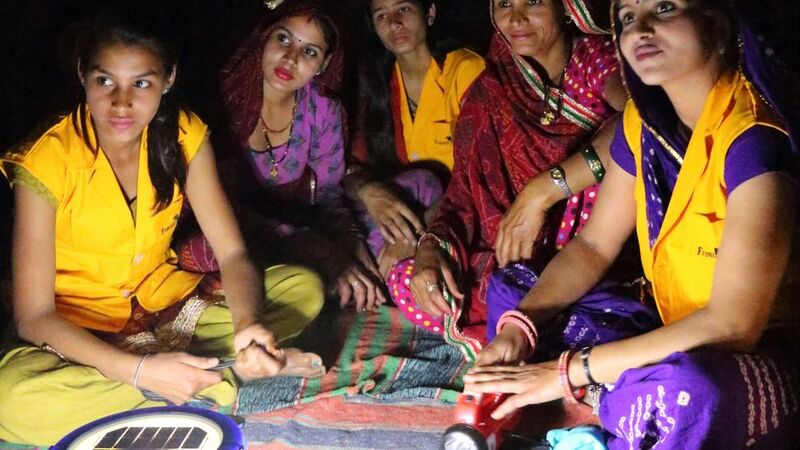 One popular technique is the ‘dark room demonstration’ where the Saheli discusses current life and its challenges with a group of women before showcasing solar lights. 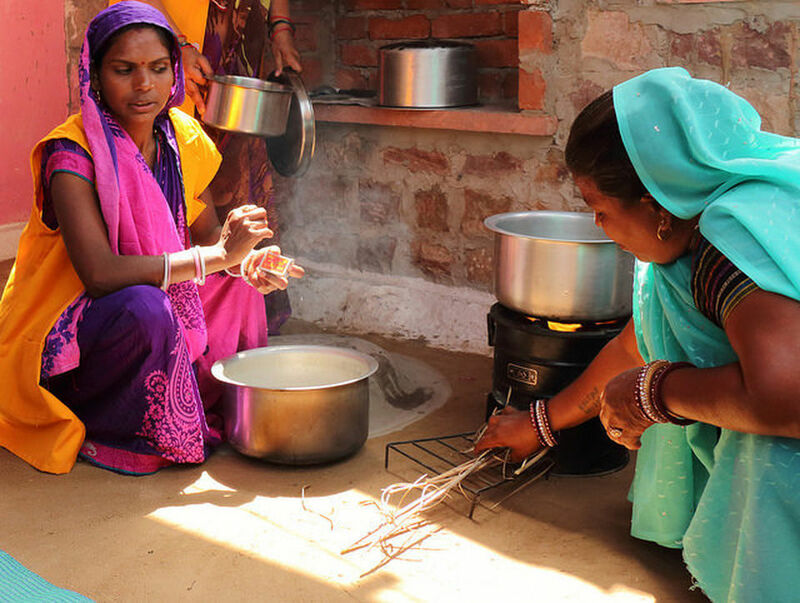 Customer education is an important part of a Solar Saheli’s job, in particular explaining the risks of kerosene and the basic financial benefits of switching from kerosene to solar. Update, Jan 2019: Frontier Markets has been trail-blazing since the Ashden Awards, becoming a leader in driving women in the forefront for energy access. 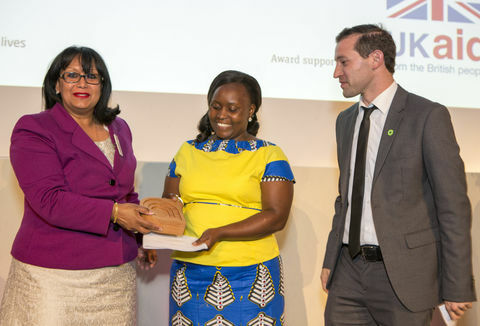 Since the Award, we have grown our network of Solar Sahelis ten-fold, who are now pioneering digital financial inclusion, solar appliances, digital data, and building larger networks of women who are the leaders of change in their village. We are grateful for the Ashden community in supporting our growth for so many years, and believe that together, we'll be able to prove that investing in women is smart business, and the key to energy access for all. Frontier Markets sources products from a number of manufacturers, using feedback from women to select products, and in some cases, to refine designs. All products either carry Lighting Global certification or go through Frontier Markets quality checks. They are sold with a written guarantee and warranty. Prices range from about US$7.5 for the smallest lamp, to US$17 for a long range torch, and US$100 for a 15 W solar home system with two LED lights, fan and mobile phone charger. All sales are recorded at the Frontier Markets call centre, which makes follow up calls to check on customer satisfaction and encourage product registration, and directs any queries to the appropriate Saheli or retailer. This active engagement with customers encourages further sales and replacement of batteries, the first component that needs replacing.